Ever looked in the mirror and thought your hips and thighs are everything you think is wrong in the world? We feel you. Unwanted fat stores at exactly all the places you wish it wouldn’t and both hips and thighs are one of the spots that most women fret about when looking to get rid of extra fat. Thick hips and thighs make you feel unattractive and as consequence it can make your self-confidence go down the drain. 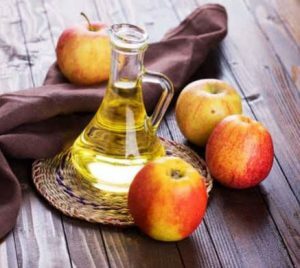 Reason why you must know simple and effective home remedies to help you reduce thick hips and thighs. 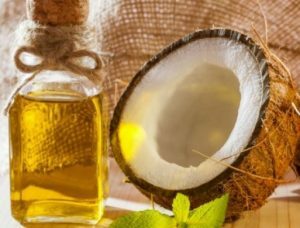 -Massage your hips and thighs with warm coconut oil for ten minutes daily. This can help you tone them. 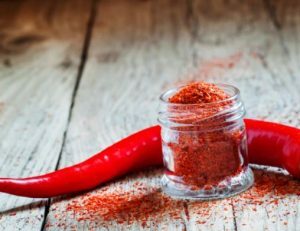 – Mix a teaspoon each of cayenne pepper, grated ginger, and juice from 1 lemon with a glass of warm water. -Drink this healthful drink twice daily. -Ddrink about 8 to 10 glasses of water every day. 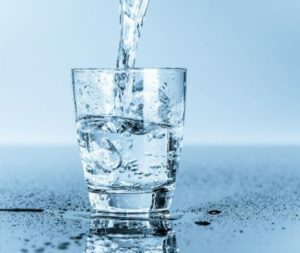 -Make it a point to start your day with a glass of water, and end your day with one. -Fruits and vegetables with high water content are also must-haves. This is because your liver requires water to convert fat into energy. -Mix three parts of unfiltered and raw ACV with one part coconut or olive oil. -Massage your hips and thighs using it and leave it undisturbed for thirty minutes. Follow this remedy twice daily. -Take a spoonful of coffee grounds before brewing. -Add some honey and mix till you get a thick consistency. 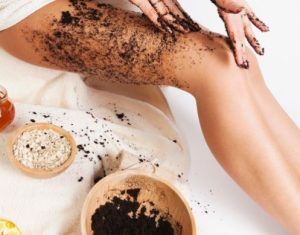 -Apply it to your hips and thighs before going for a bath. -Once it has dried off, you can scrub it with wet hands and then rinse with water. -Look for yoga lessons that concentrate on strengthening your hamstrings and improving blood circulation as well. Sit on a chair and bend your knees while your feet should be resting on the floor. Keep a pillow between the thighs. Now, squeeze the pillow and exhale your breath. Hold the position for 1 minute, and then start breathing normally. Keep your palms on the ground and try to push the knees outward in an opposite direction. You should also prevent your thighs to push the hands outwards. Hold the position for 1 minute and repeat the process at least for 15 times. Do this exercise daily to get rid of thigh fat.